St. Patrick's Day Dinner Tradition - So Festive! 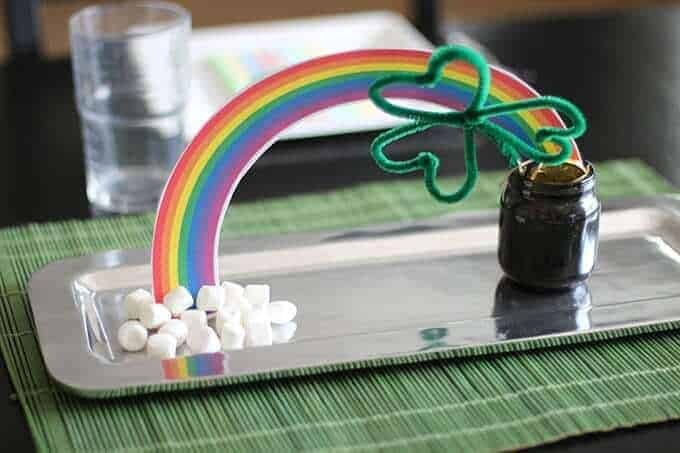 Create a memorable St. Patrick’s Day with this fun family tradition! Do you celebrate St. Patrick’s Day? 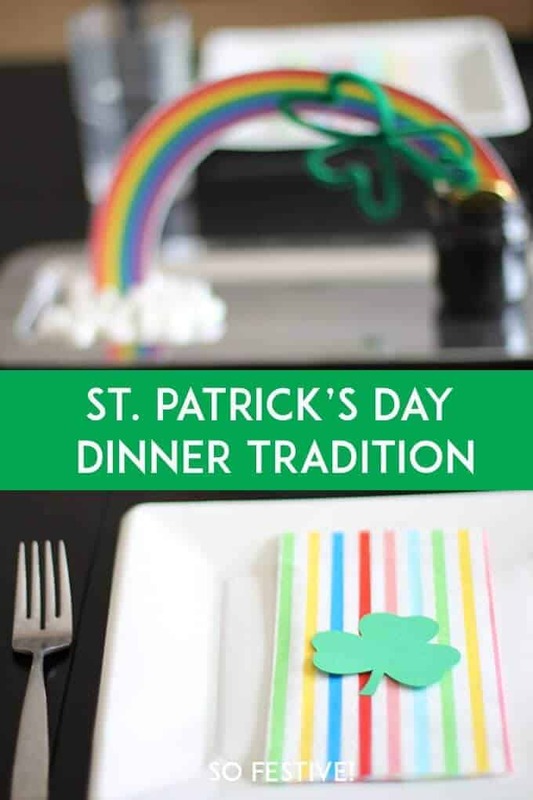 It’s never too late to start a new family tradition by having a St. Patrick’s Day dinner! Serve up a green or rainbow dinner (ideas below!) 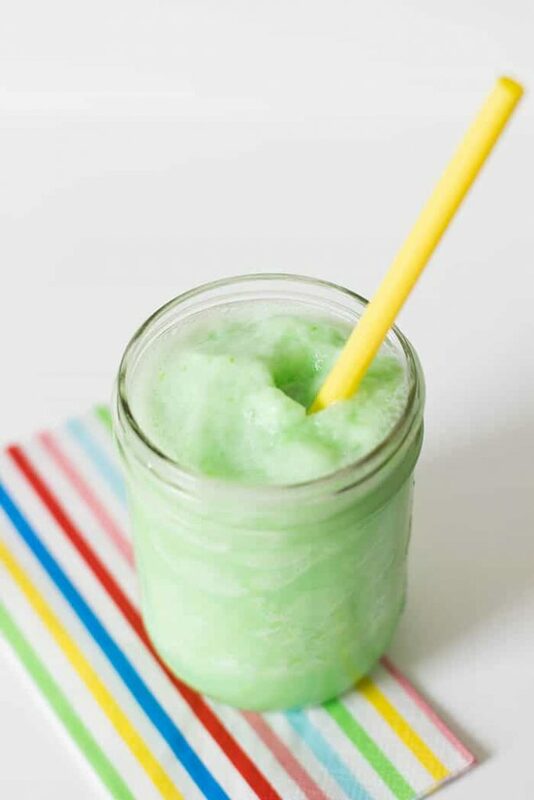 and don’t forget to serve a Green Mean Machine for dessert! 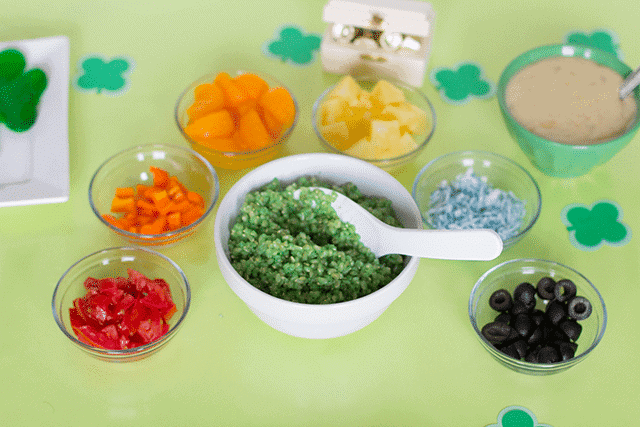 We are HUGE fans of Hawaiian Haystacks, but for St. Patrick’s Day dinner, they become Rainbow Haystacks! We gather a variety of rainbow colored toppings such as tomatoes, red peppers, orange peppers, mandarin oranges, pineapple, coconut (dyed blue), and black olives. 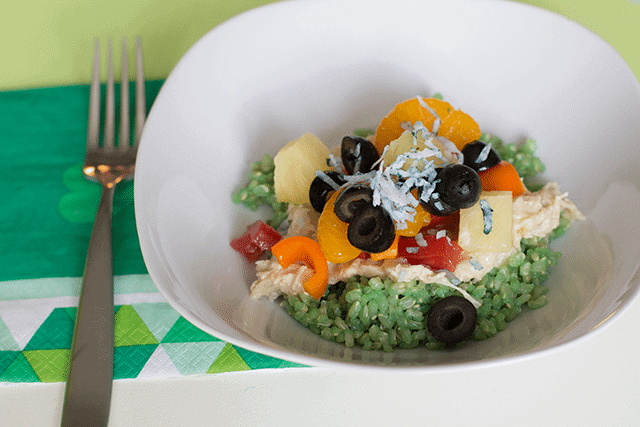 We serve those toppings on green rice with our favorite homemade chicken sauce. Just look at how festive that dinner plate is!! I’m pretty sure tacos are as far from Irish fare as you can get, but we always have green tacos on St. Patrick’s Day. It all started back when my husband and I were dating in college. I still remember the conversation we had on St. Patrick’s Day over instant message while I was sitting in my International Business class. Little did he know that would be the first of many festive dinners we would have together. I helped him make green tacos that night for his dinner group. We dyed the chicken and sour cream green, set out the other toppings in my set of green bowls, and served Green Mean Machines for dessert. Not to brag, but everyone really loved the festive meal. That same menu has been at our St. Patrick’s Day dinners ever since. 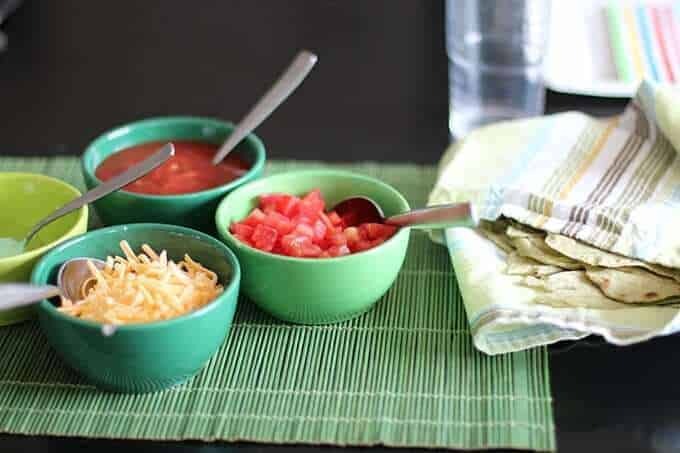 Gather your favorite taco toppings and serve them in some homemade tortillas, dyed green! Or use spinach tortillas for a simpler version. 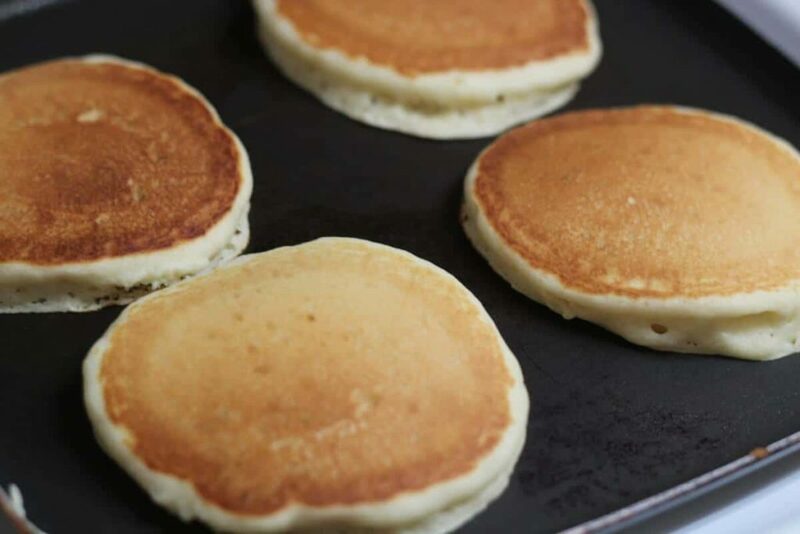 If you are short on time and need a very quick dinner idea, whip up your favorite pancake or waffle recipe and make some green pancakes! 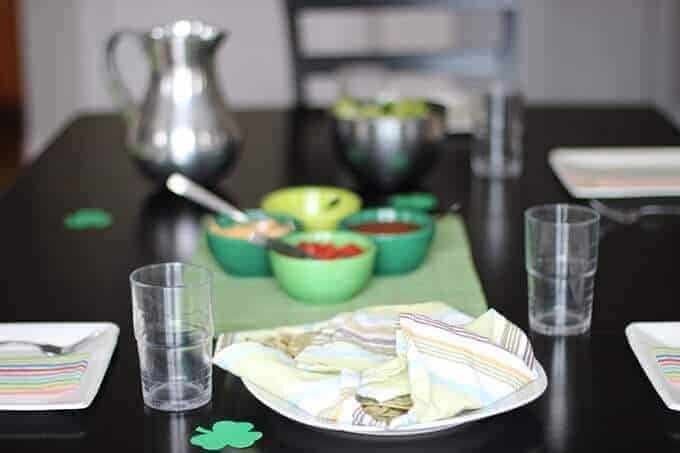 Whatever you have for St. Patrick’s Day dinner, add some green food coloring and you just might be making a tradition in the process. If you are still at a loss, come to our house for some green tacos. But wearing green is not optional. Do you have a traditional St. Patrick’s Day dinner? I’d love to hear it!